Watch the video to see what a help this ruler will be to your quilting techniques. 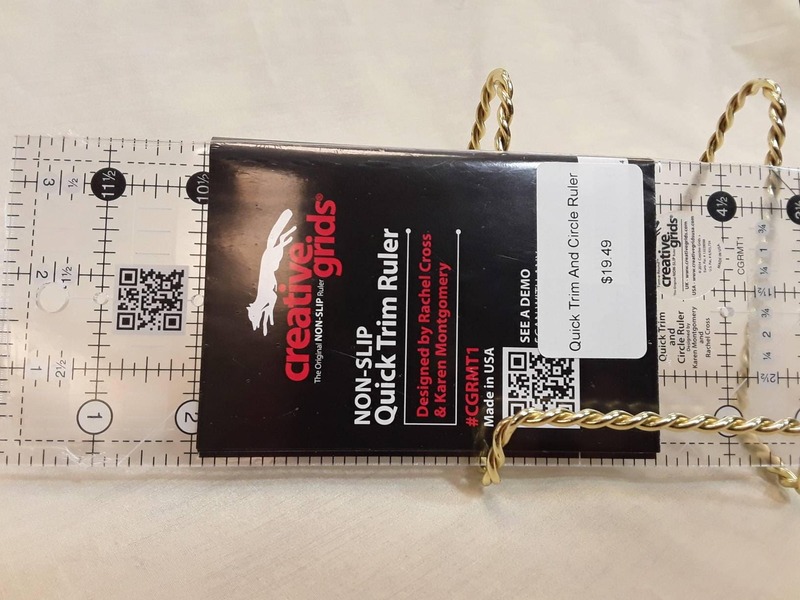 I really enjoy the non-slip feature to the Creative Grid rulers, I hope you will too. 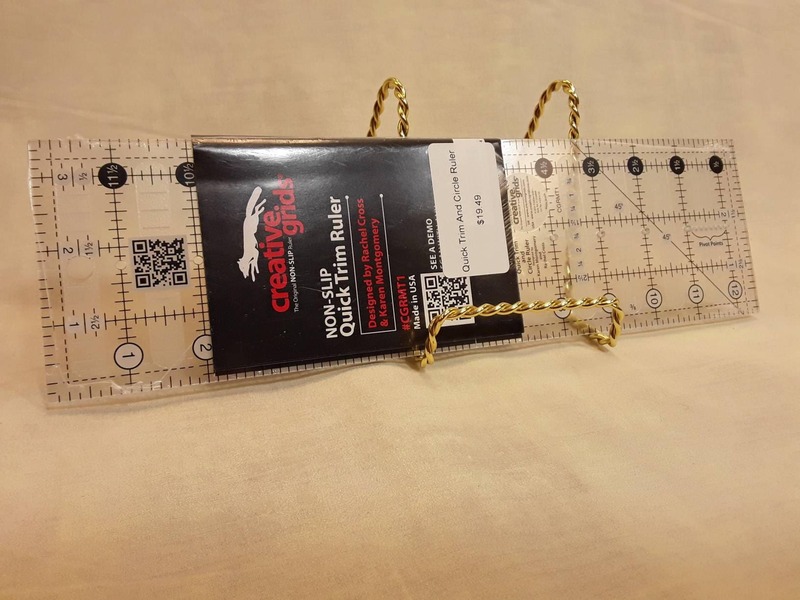 I first started using this ruler to make better sew and flip triangles on corners. 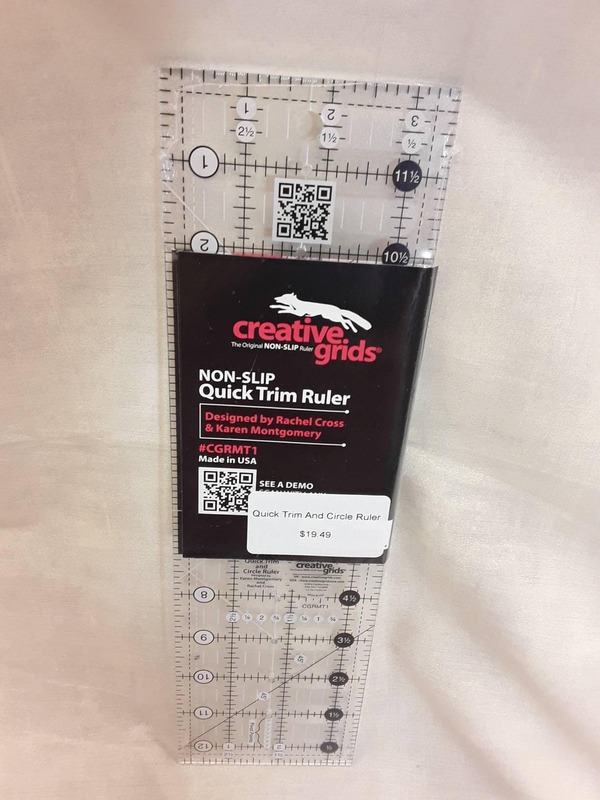 The video helps show you how to use this ruler. The following information is from the manufacturer. 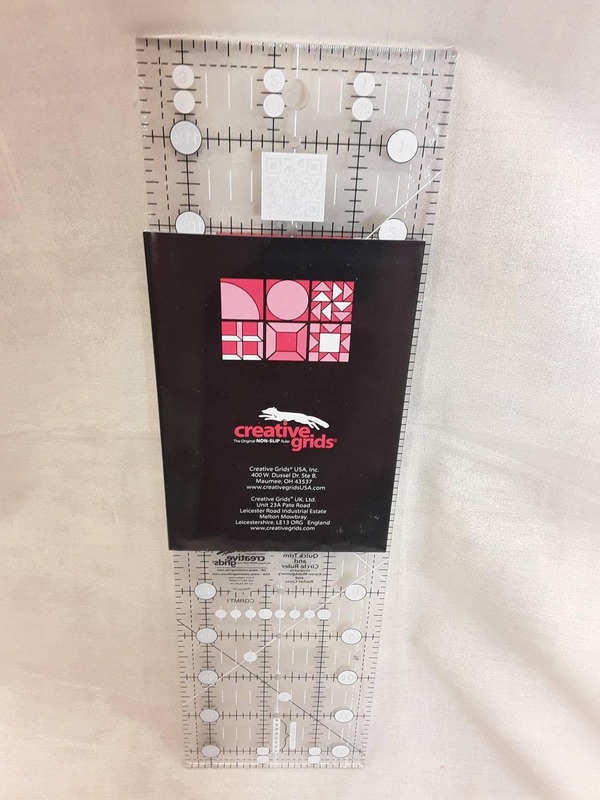 This ruler includes the Turn-a-Round feature as well as all of the markings of a traditional Creative Grids® ruler. White 45 degree angle lines cross at the 1/4 inch line, are printed on both sides of the ruler. Use these lines to cut binding and border strips perfectly as well as cut and trim flying geese units. Use the holes drilled in the center to draw circles up to 22 inches. It comes with fully illustrated step by step instructions or scan the QR Code printed on the ruler to view a video demonstration.